As a professional Manchester wedding photographer, I love shooting in city centre wedding venues creating photographs of natural non-posed moments and contemporary portraits in the city streets. I regularly shoot weddings at venues like The Castlefield Rooms, Manchester Town Hall, and Great John Street Hotel. My wedding photography style is a mix of informal documentary coverage, classic style group shots and creative portraits. I’m a photographic artist who makes the most of the light, the weather, and your chosen wedding venue. I’m fully qualified and fully insured, with a wealth of experience gained from shooting hundreds of weddings. By hiring a professional, you don’t have to worry about the weather. I enjoy using the weather to creative effect whether that’s a clear blue summer sky or a downpour. Rain or shine, you’ll have beautiful photos to treasure for a lifetime. I mostly shoot weddings in a documentary style (also called wedding photojournalism). capturing unposed natural moments as they happen. I usually start in the morning with the bride and or groom and mix this style of documentary coverage in with editorial style photos of details, and a few photojournalistic style group photos. Then throughout the wedding, whether that’s capturing candid moments during wedding speeches or guests mingling with the bride and groom during the drinks reception, documentary coverage is great for telling the story of your wedding celebration, and really being able to see everyone’s personalities in the photos. Most of all, it’s these fleeting moments, the connections between people that you’ll look back on and treasure for years to come. My approach to any wedding day as a professional wedding photographer is to take what’s there and make the absolute most of it creatively. I believe that weather is just part of the day and whilst everyone loves a perfectly clear blue sky, in Manchester especially, it can never be guaranteed. My car is fully equipped with a selection of umbrellas and my kit is weatherproof, so whilst you may not want to go outside in the rain, I’m all for using a downpour and creating something beautiful. The evening reception is a big part of the wedding and I love staying late enough to ensure that I capture evening guests arriving, informal group photos of your friends, and not only the first dance but some dance floor action as well. I tend to find by 10 pm I have enough coverage to tell the story of your wedding, but if you have fireworks planned, I’m more than happy to stay later. If you’d like sparkler photos, I can advise on the best ones to buy, and I do love shooting a quick end of night couple portrait, whether that’s with a sunset or some creative lighting. Because I stay later, you get more in-depth coverage of evening guests, and the opportunity for a few impromptu group photos if you wish. I offer a huge selection of wedding albums and photo books in a variety of styles that I’ve hand-picked. You can browse the selection on the wedding albums page. The range includes my popular keepsake soft cover photo books and Graphistudio classic leather wedding books with the photos printed on photographic paper and edge to edge printing and lay flat pages. Since I bring wedding albums to each consultation, you’ll be able to see the quality and craftsmanship up close, as well as this being a great opportunity to look through complete wedding albums. 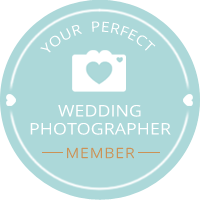 I charge an hourly rate for wedding photography coverage so that you can book the time that you need. I usually cover the full wedding, from preparations in the morning to the speeches after the wedding breakfast and on until the first dance and the party, but I also offer shorter coverage options and find the shorter 3 and 4-hour durations popular for weddings in Manchester city centre. A selection of wedding photos from a gorgeous winter wedding with dusk portraits at the ever popular Didsbury House Hotel. Winter wedding photos from a valentines day wedding at Great John Street Hotel, with couple portraits and family photos in Castlefield.